Tesla Motors CEO Elon Musk said he is opening up the company's patents to any automaker that wants to build electric cars. In a blog post Thursday, Musk vowed "Tesla will not initiate patent lawsuits against anyone who, in good faith, wants to use our technology." Musk said that Tesla will continue to file for patents in the future, but only to prevent other entities from patenting Tesla's innovations. Musk said that Tesla can't estimate the economic value of the patents it is making public, but he doesn't think investors should worry about the company being hurt by this move. 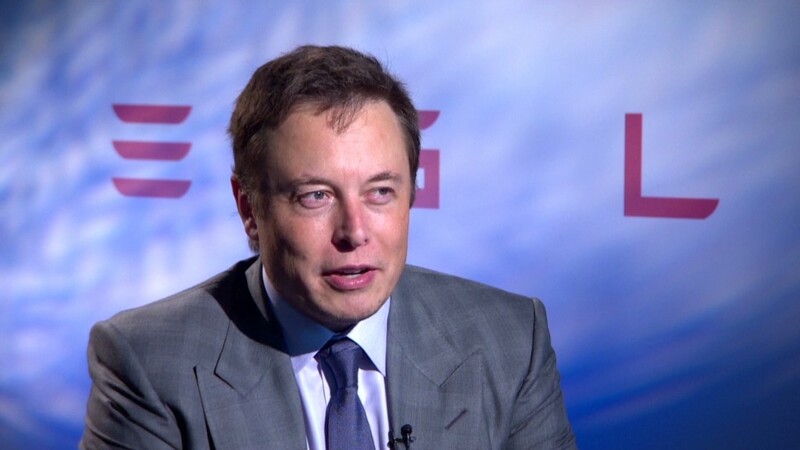 "If a company is truly relying on patents or patent portfolio, that's a weak position," said Musk. "I think...this can be of modest help to others." Shares of Tesla (TSLA) fell more than 1% on the news, but have climbed about 35% so far this year. Musk said Tesla filed for patents when it first launched because he worried that big car companies would "copy our technology and then use their massive manufacturing, sales and marketing power to overwhelm Tesla." The big automakers never tried to steal his electric car technology. In fact Musk is upset that they're doing so little to develop their own electric cars. "Our true competition is not the small trickle of non-Tesla electric cars being produced, but rather the enormous flood of gasoline cars pouring out of the world's factories every day," he said. Tesla's Model S has far greater range than any other electric-only car, able to travel at least 200 miles between charges. Tesla's Supercharger technology can also can recharge cars much faster than other plug-in cars. Related: Tesla in Britain - Fit for royalty? The global industry needs to offer far more electric cars than Tesla can build itself if the problems posed by greenhouse gases and global warming are to be addressed, according to Musk. He said none of the other automakers have reached out to Tesla to ask to use its technology, although it does have partnerships with Toytota (TM) and Mercedes-Benz to provide parts of their own electric cars. "We think the market is big enough for everyone," he said. "I don't think this hurts us, and if we can do things that don't hurt us and it can help the U.S. industry, we should do that." Other companies, including Google (GOOG) and IBM (IBM), have pledged open access to a significant number of their software patents, but this is the first time a major company has opened its entire portfolio of patents, according to Chicago patent attorney Chris Carani. Musk said he not only wants to promote the development of electric cars, but also to push for reforming U.S. patent law. "There is far too much effort and energy put into creating patents that do not end up fostering innovation," he said.